Highmark Health operates a program it calls Highmark VITAL, which helps make FDA-approved, leading-edge technologies available sooner for patients by partnering with physicians and industry players and helping them gain the insight needed to demonstrate how effective an innovative treatment is. 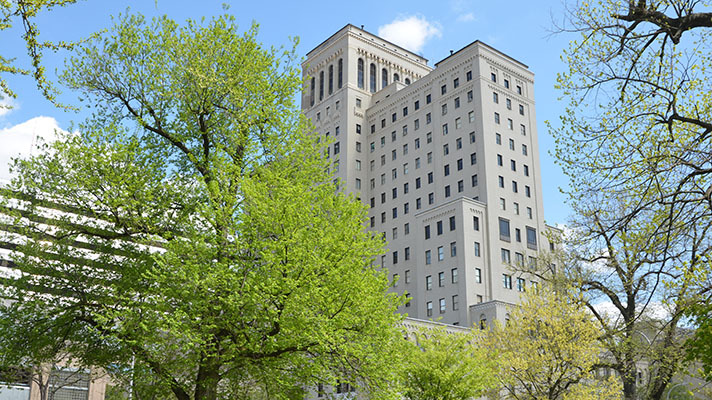 Based in Pittsburgh, Highmark Health is the parent company for Highmark BCBS, which covers Pennsylvania, West Virginia and Delaware, and Allegheny Health Network, which includes three sites. In 2016, because of the VITAL program, Highmark Health began working with HeartFlow, a medical technology company that uses deep learning to create a 3D model of the heart to transform the way heart disease is diagnosed and treated. By using this model, clinicians can better evaluate the impact a blockage has on blood flow and determine the best treatment for patients, the vendor said. The advanced deep learning 3D analysis has been used on roughly 100 patients. Results show that the technology has been able to reduce unnecessary angiograms by more than 83 percent and cut costs by an average of 45 percent per patient, Highmark Health reported. In the U.S., as many as 60 percent of patients with coronary artery disease do not have any clinically meaningful obstruction of coronary blood flow, and clinical evaluation of coronary artery function currently relies overwhelmingly on catheterization – i.e. invasive coronary angiography – despite the availability of less expensive, non-invasive imaging methods, said Moneal Shah, MD, clinical lead, cardiology, at Allegheny Health Network. "Furthermore, recent studies suggest that invasive coronary angiography is associated with higher rates of placement of coronary stents," Shah said. "The HeartFlow analysis adds a functional assessment of coronary artery function to the anatomical information produced by coronary CT, allowing physicians to diagnose obstructive coronary artery disease with greater certainty through wholly non-invasive techniques and to reduce the number of unnecessary invasive coronary angiography procedures." The Highmark Health VITAL innovation program's HeartFlow test enrolled patients who had already undergone a cardiac stress test and were afterward being considered for an invasive coronary angiogram. These patients were offered the option of non-invasive cardiac computed tomography angiogram instead. If the computed tomography angiogram showed potentially significant coronary artery disease, the images were analyzed by HeartFlow, and if this analysis identified significant lesions, patients then were recommended to undergo invasive angiography. If the analysis did not show any significant lesions, invasive coronary angiography was not recommended. With this strategy, the study physicians were able to better identify the patients with either no coronary artery disease or non-obstructive coronary artery disease and avoid invasive angiography in that group, Shah explained. "And we saw a reduction in per member/per month costs of approximately 45 percent over the 90-day period following computed tomography angiogram, or invasive coronary angiogram in the control group," Shah added, noting that the cost reduction was due to "avoiding invasive angiography procedures in the 83 percent of patients receiving computed tomography angiogram whose results indicated absence of any obstruction of coronary blood flow." Under the previous standard of care, coronary artery function is not measured until invasive angiography is performed; the imaging data obtained by computed tomography angiogram provides only anatomical information about coronary artery blockages, Shah said. By applying HeartFlow deep learning analysis to the computed tomography angiogram images, anatomic and functional assessment of the coronary arteries can be performed with one test to more efficiently identify patients for whom invasive coronary angiography is unlikely to reveal compromised coronary artery function that requires further intervention. Artificial intelligence and deep learning play a big part in this analysis of the heart. "The HeartFlow analysis applies deep learning on image data from a coronary CT scan to create a personalized 3D model of a patient's coronary arteries," Shah explained. "It then applies computational fluid dynamics to the model to calculate blood flow and assess the impact of blockages on coronary blood flow." What makes the use of this technology work is the the deep learning algorithm, which has been trained on a large data set of CT images, he said. The vendor also trains the algorithm on more data as its analysts inspect and make corrections and more scans are sent in. "I don't believe this technology will replace physicians but will enable physicians to spend their time on providing optimal care for patients," said Shah.